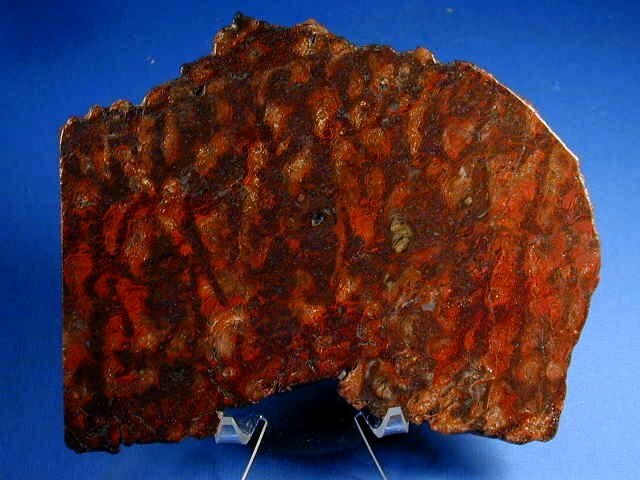 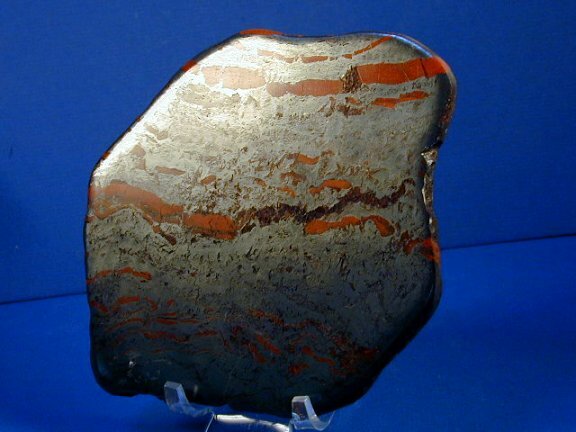 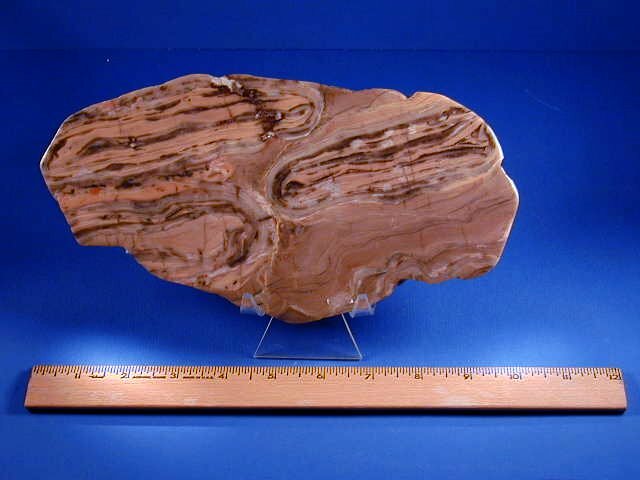 This specimen is interesting in that it exhibits both flat and wavy lamination outside the Girvanella form, and there are red blotches that are precipitated Rhodochrosite. 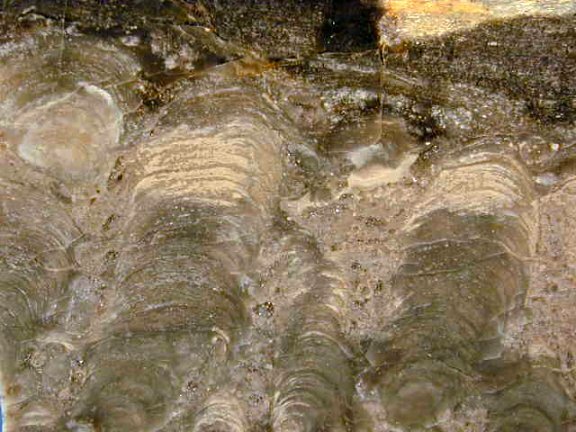 In the March 7, 2002 edition of Nature (Volume 406), J.W. 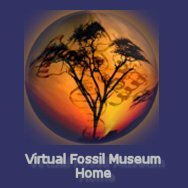 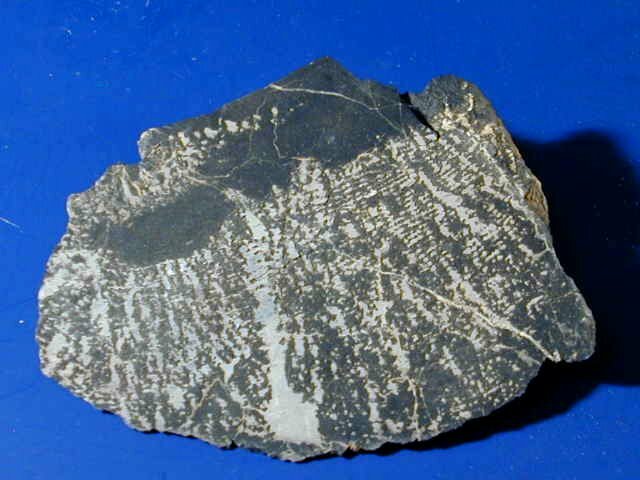 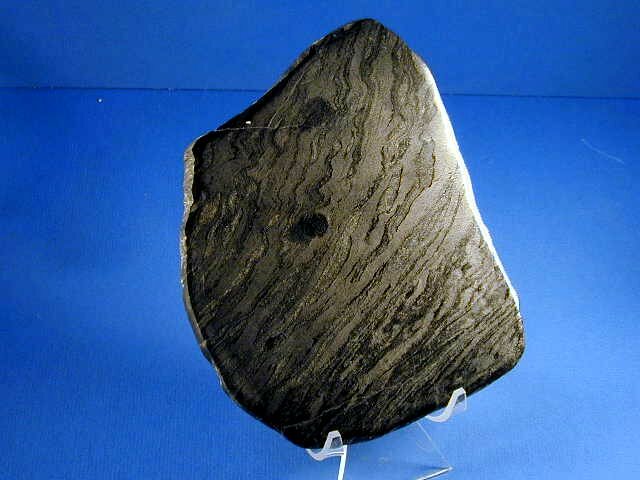 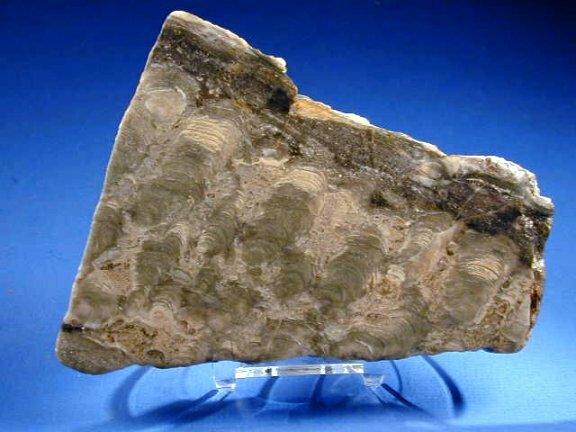 Schopf, himself famous for his role in the discovery of Domain of Life Archaea, reported discovery of cellular remains of prokaryotic cells in the Gun Flint stromatolite. 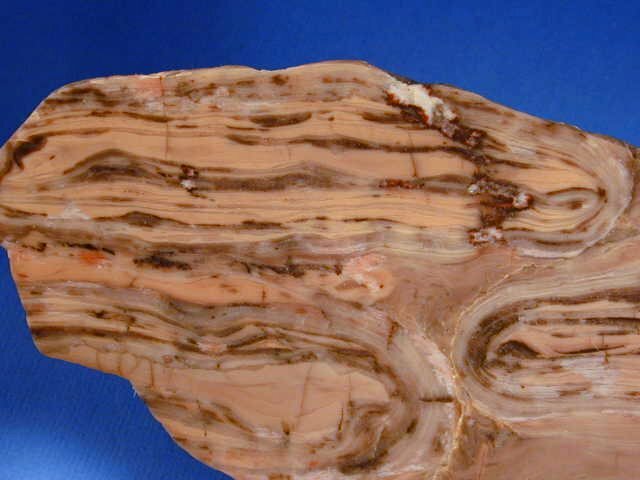 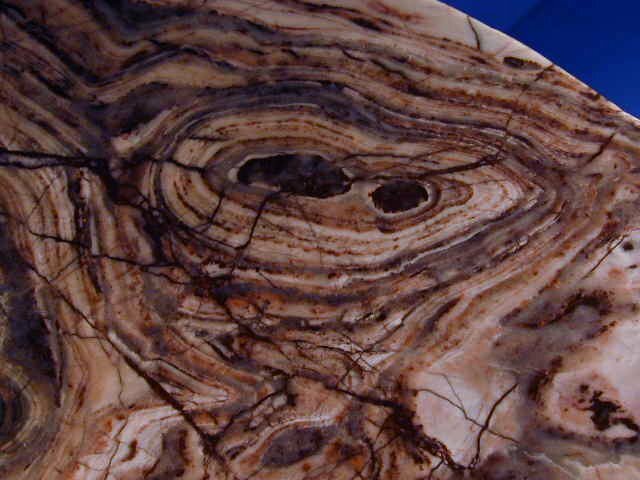 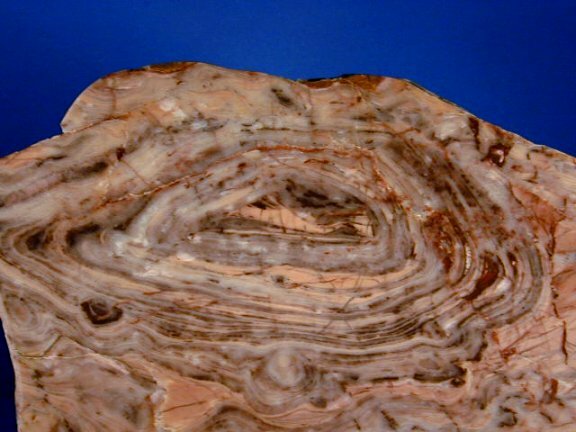 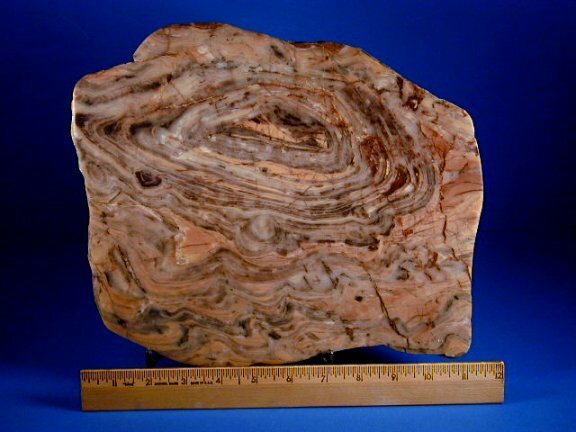 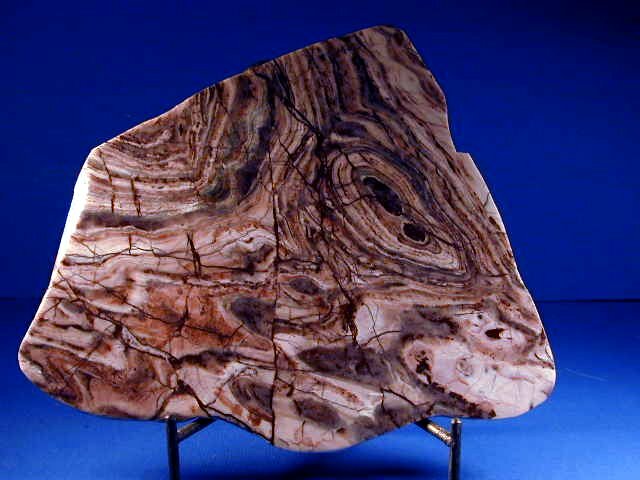 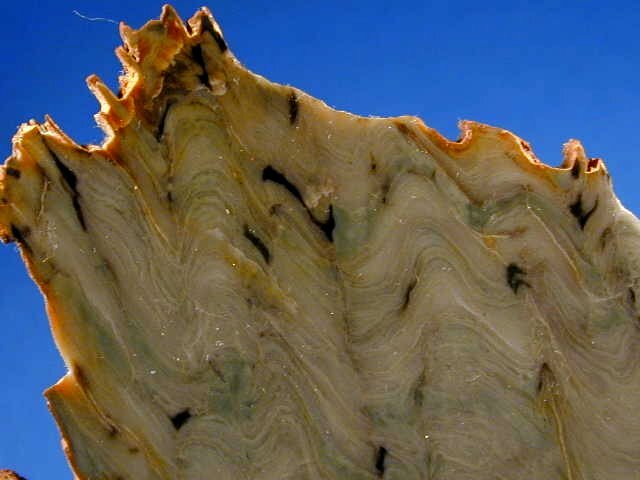 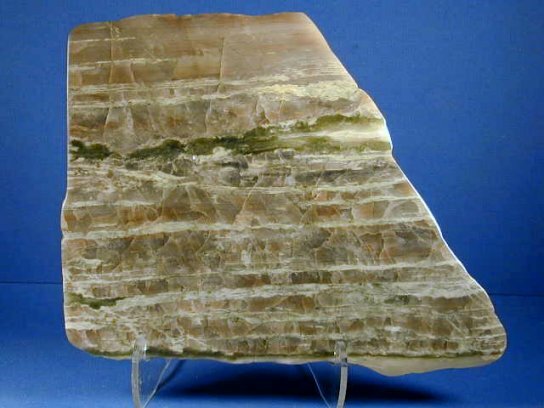 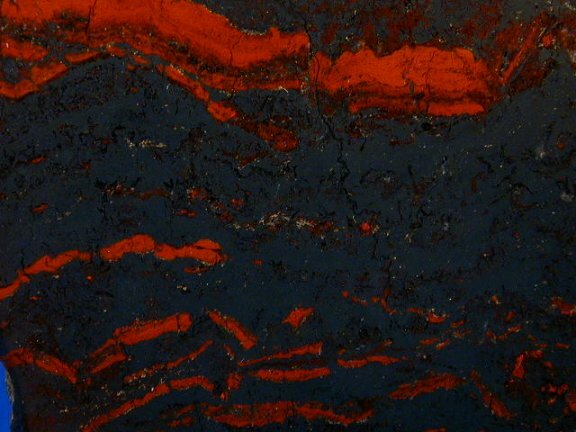 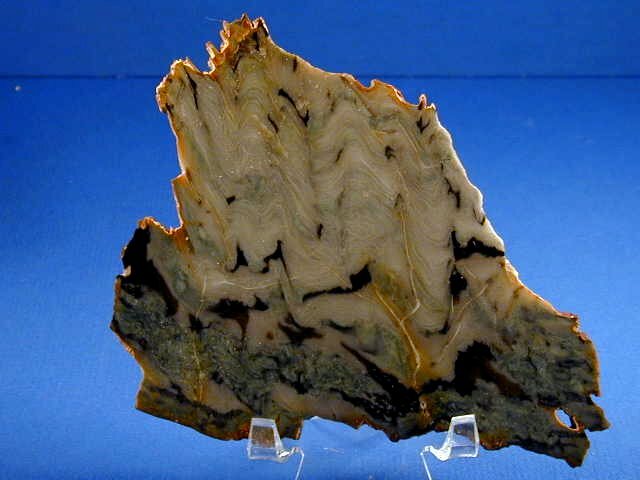 Note the intricate domal layers of this chertized (Chert is cryptocrystalized quartz) stromatolite that represents a piece of history in the study of Pre-Cambrian paleobiology. 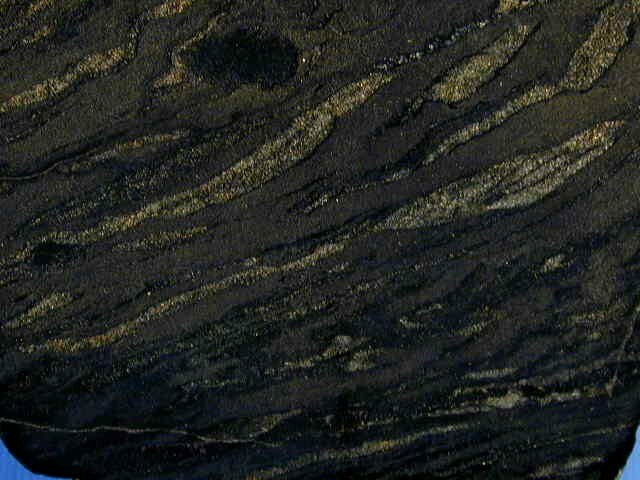 occasionally washes ashore and is collected by the Inuit Native Americans.